I will summarize the stages of analytics maturity that lead an organization from traditional reporting (descriptive analytics: hindsight), through predictive analytics (foresight), and into prescriptive analytics (insight). The benefits of big data (especially high-variety data) will be demonstrated with simple examples that can be applied to significant use cases. 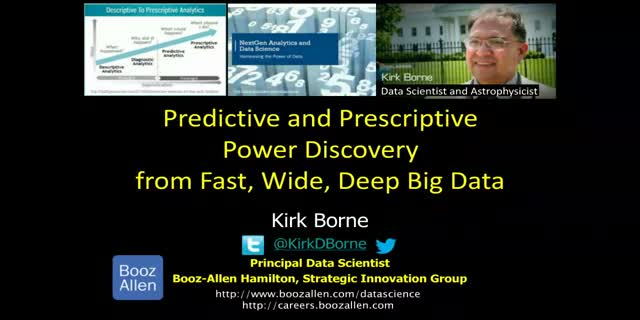 The goal of data science in this case is to discover predictive power and prescriptive power from your data collections, in order to achieve optimal decisions and outcomes.